The calm before the storm. Before we move into the dishes that we had that night, do check out below on some GST calculations implemented on the prices from The Manhattan Fish Market. 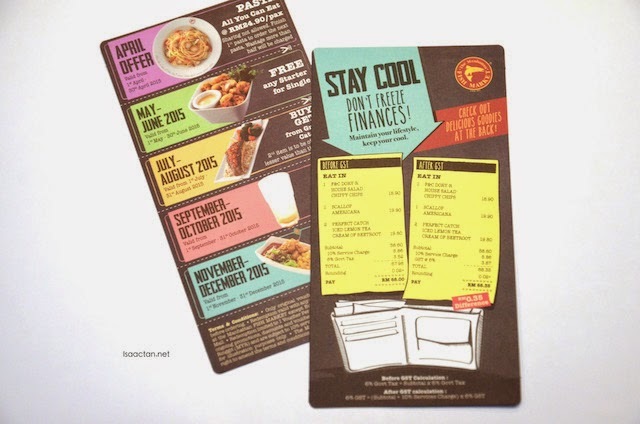 If you are about to have around RM50 budget for any kind of dishes in The Manhattan Fish Market:. 1 Sharing platter cost about RM57.90 and the sub total is RM57.90. Add on with 10% service charge is about RM5.79 plus on with the 6% Goverment tax : RM3.47. The total is RM67.16 after the Government Tax included - Rounding (+0.04) up you have to pay only RM67.20. 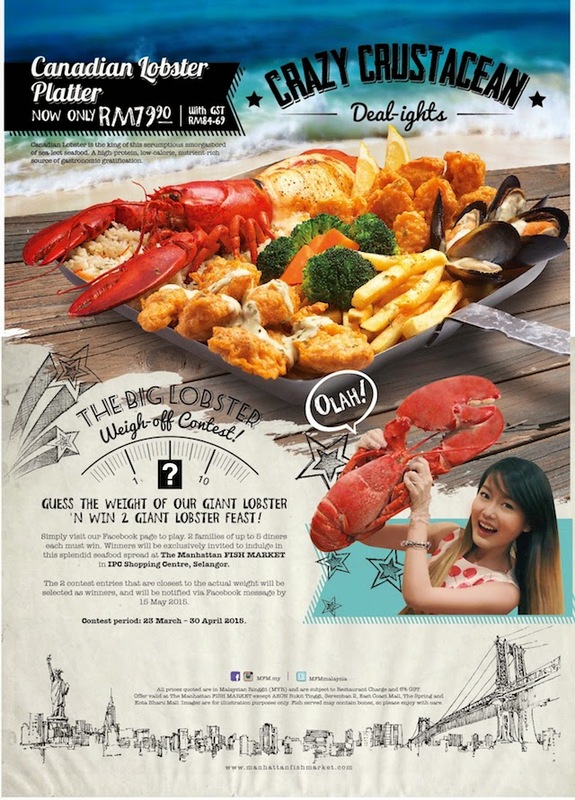 1 sharing platter with the same price RM57.90 the subtotal is same too RM57.90. The service charge is no longer available but replaced with their restaurant charge - which the total for the restaurant charge is 10% : RM5.79 from the 1 sharing platter price. The difference after GST RM67.50 - RM before GST RM RM67.20 = RM0.30. Enough of prices, let's look at the crazy deals! 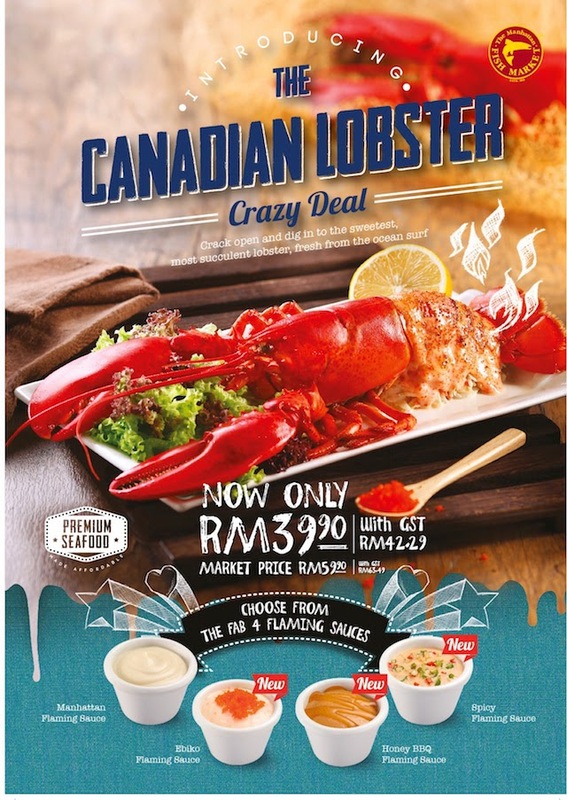 Per my understanding, the market price for this Canadian Lobster is at RM59.90/each and The Manhattan Fish Market are selling to you at a lower than market price. How's that for a good deal? There are 4 types of flaming sauce to choose from: namely the Manhattan Flaming Sauce, Ebiko Flaming Sauce, Honey BBQ Flaming Sauce and Spicy Flaming Sauce. 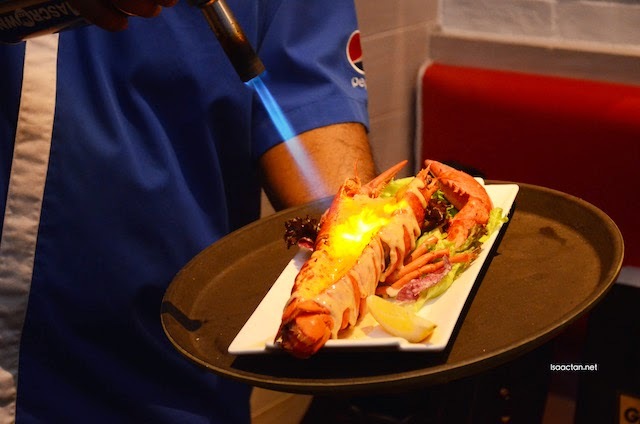 Interesting, yummylicious, and rather huge lobsters all set to flame up your senses. Personally out of the many flavours available, I like the one with the Spicy Flaming Sauce. 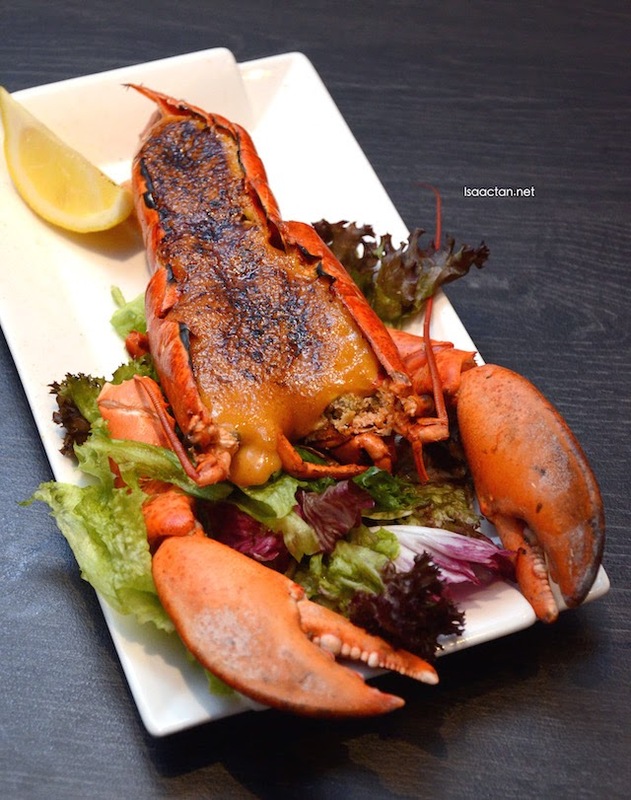 Each bite into the lobster's flesh gives a tingling spicy sensation, tasting great with a hint of flamed smoked flavour. Good stuff here, at an unbeatable price of only RM39.90 each. 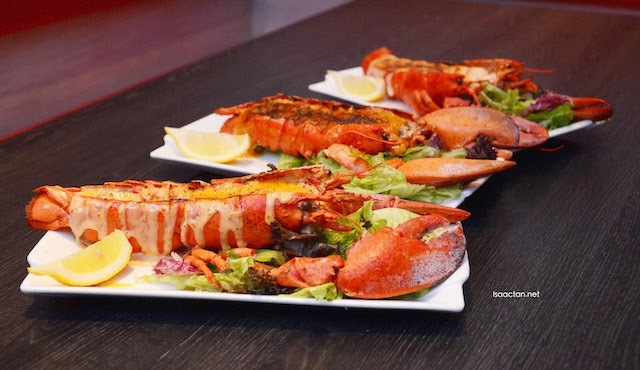 If you're dining with family and friends, then do feast on their Canadian Lobster platter instead. 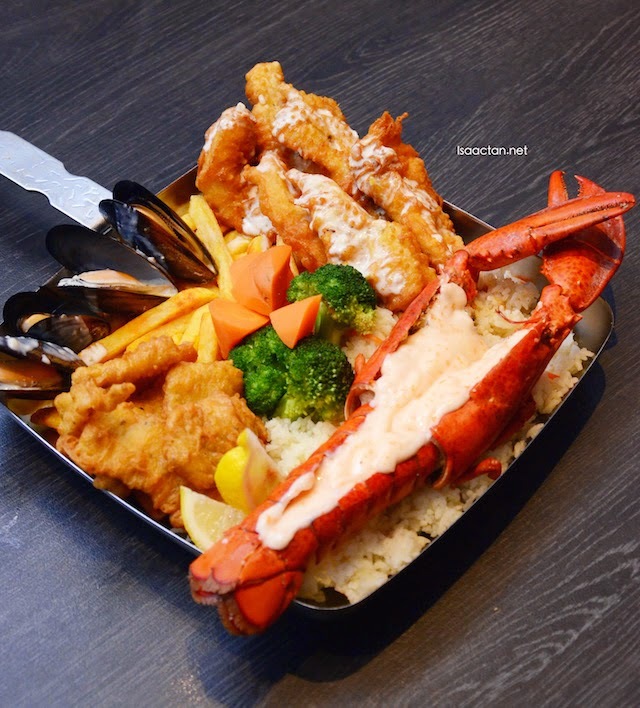 Served with one big Canadian Lobster, Fried Calamari, Fried Fish Fingers, Mussels, Fries, with broccoli and carrot on the side on top of herb rice, the platter feeds 3 to 4 pax. Not bad at all, where everyone in the family will be satisfied with the meal. 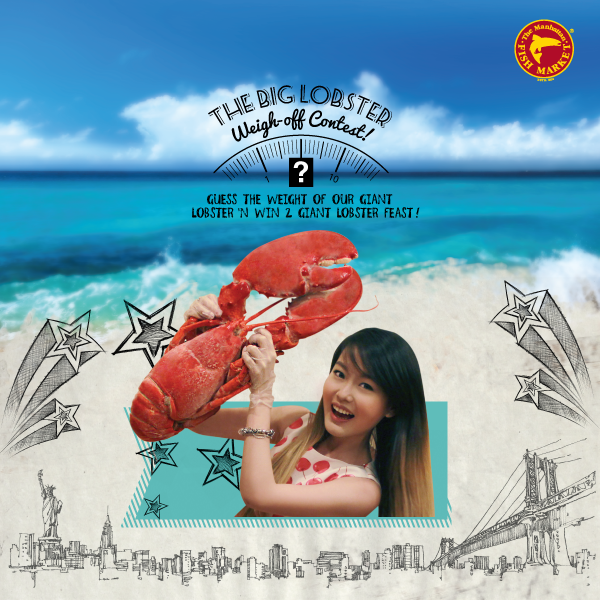 There's an on-going contest too where the Manhattan Fish Market Malaysia aims to reward their loyal fans with a big gift in conjunction with the Canadian Lobster promotion. Just visit MFM facebook page to play. 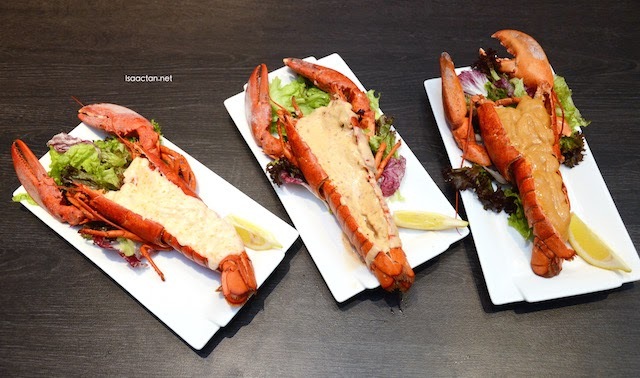 The winners will be invited to indulge in this splendid seafood spread at The Manhattan FISH MARKET in IPG Shopping Centre, Selangor worth up to RM1,000. Guess the weight of the giant lobster in the poster. I've attached the poster above for your easy reference. You can get this poster in their Facebook page (https://www.facebook.com/MFM.My). Winner will be notified via FACEBOOK message by MFM on 15 MAY 2015. Contest period : 23 March 2015 - 30 April 2015.
shut up! the price RM39.90!!!!!!!!!!! murah gila. how was it ? lembut tak?